The Sleepwatchers, critically acclaimed and nominated for an Isadora Duncan Dance Award following its premiere in 2001, is brought back to life for DSDT’s 30th anniversary home season. The Sleepwatchers is inspired by the eponymous book by Dr. William Dement, M.D., Ph.D., the world’s leading authority on sleep, sleep disorders, and the dangers of sleep deprivation. These excerpts look at sleep metaphorically and literally, examining how it affects society’s mental and physical well-being. Tickets $15-$50, at http://odc.dance/sleepwatchers or by calling 415-863-9834. 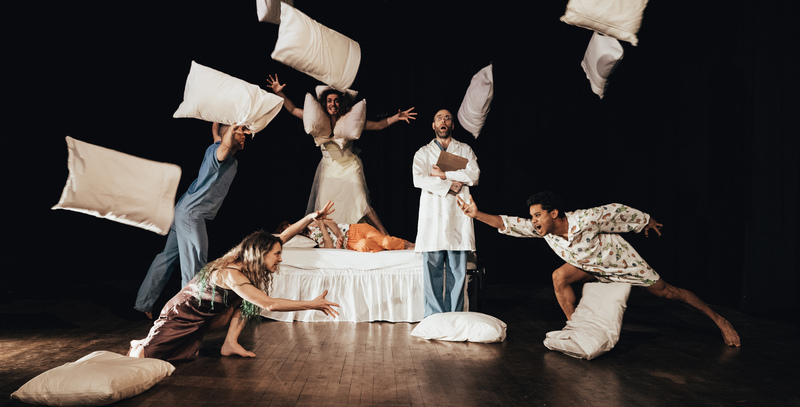 These performance of The Sleepwatchers were made possible by the Opportunity Fund at ODC Theater supported by the Kenneth Rainin Foundation.